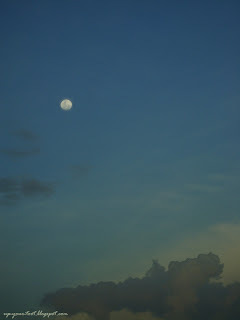 This weekend we will see the moon at its closest point to Earth for 2012. This perigee-full moon is also considered a ‘SuperMoon’, a term coined by astrologer Richard Nolle. Whilst this is not the one of the extreme supermoons in the 21st century, it is still one of the many supermoons occurrences. By definition, a SuperMoon is a perigee-syzygy, a new or full moon (syzygy) which occurs when the Moon is at 90% or greater of its mean closest approach to Earth (perigee). An extreme SuperMoon is when the moon is at 100% or greater than 100% of its mean perigee. 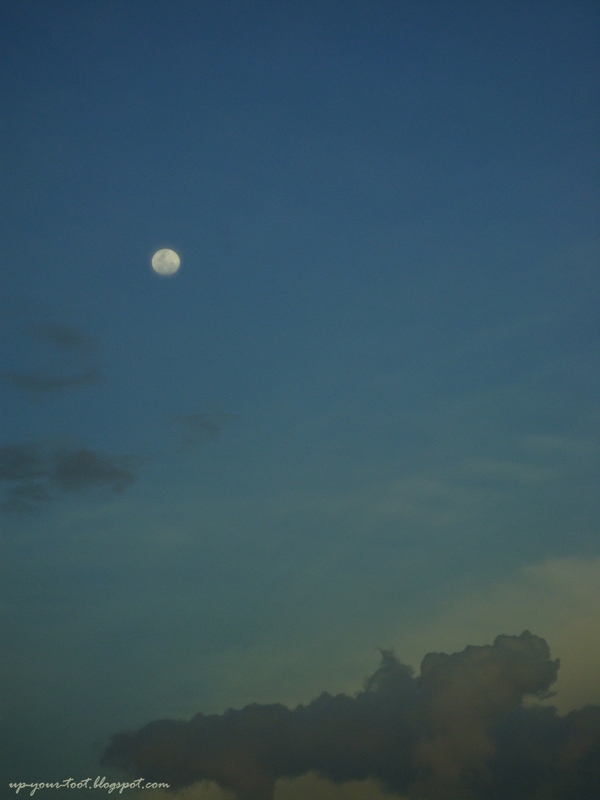 The rising moon on the evening of 4th of May 2012. The moon reaches its closest distance to Earth (perigee) at about 03.34 AM GMT on May 6 and two minutes later, syzygy occurs at 3.36AM GMT. At perigee, the moon will only be 356953 km from Earth, the closest for this year. Unfortunately for us in Malaysia, the full perigee-syzygy will occur during daylight (11.36 AM on Sunday 6 May). However, the moon would already look somewhat bigger a day before and after the perigee syzygy, and this is especially noticeable when the moon is close to the horizon at moonrise and moonset. Tonight I did gazed at the moon and observed that it is indeed big and brighter. No sight of the moon since yesterday, sigh! Terlepas tengok. You are really good in math. I have already reported to blogger and gave them 10 URL post. They deleted the post less than a day. But I still have more than 300 post there. Will take some time. Thanks for alerting me of the matter. It was really nice that all of us learn so much from this stolen post story. Autumn Belle also put in many good advise with other bloggers too. Glad to hear that Blogger responded to your complaints. I think this is an eye-opener for a lot of us. Ada calculator online to check for the perigee occurences, hehe. So there is no need to crack ones head. It would still be ever so slightly bigger the day after.